Apple is well known to have been pioneers in many technologies and now it’s time for another technology. Apple has reportedly filed a pair of patents working on a long-range wireless charging solution. For all the Apple fans, here’s the big news, Apple is going to bring a new technology through which you would be able to charge your iPhone from across the room. According to the official notes, revealed by the US Patent & Trademark Office (USPTO), the new technology will sport a system which will be configured to transmit power wirelessly over a wireless power transmission link. This indicates that it could supply power to multiple devices, including both wired and wireless connections. Wireless charging has become a reality but long-range wireless charging is still challenging, because of a breakneck decrease in the power available to devices as they get away from the charger. However, the new technology allows the users to set up the charge transfers in a particular order of priority. In this method, there will be a power adapter linked to multiple electronic devices in the same communication network. This patent is also hinting towards Apple’s efforts to explore ways to prioritize the different devices within the wireless charging system’s range. If this technology would become a reality then the user can tell the system to charge the iPad before the iPhone, or iPhone before the iWatch, or any priority order based on their usage patterns. The first patent describes the most intelligent wireless charging that knows the order of priority for charging the device and the second patent explains a system in which a wireless power transmitting device may transmit power wirelessly to a wireless power receiving device. Patents do not confirm anything solid on their own. Therefore, it’s too early to predict that these patents will eventually make it into production or not. 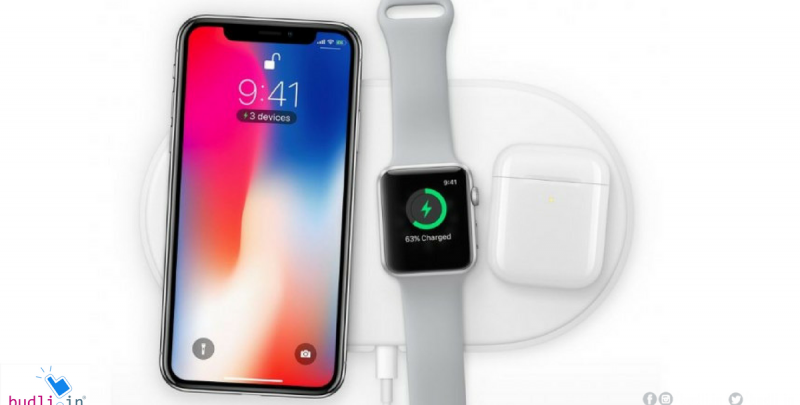 But it clearly shows Apple’s rigorously efforts on both software and hardware to wireless charging devices a reality in the market sooner than later. The advancements in technology are immensely growing day by day and if you don’t have the latest version of a smartphone or any other electronic gadget you might be missing on some insanely awesome features just like the wireless charging one. To be on par with the growing technology you need to upgrade your device and the best place to do it is budli.in. Budli is an online store for refurbished gadgets, never the less to mention that it is the largest as well. If you are looking to sell your old device and buy a new one just visit budli.in and that would solve all your problems. Budli has a wide range of products from smartphones to laptops to desktops so that you get to choose the best for your needs. Budli even gives you the best discounts so that it will not weigh much on your wallet. Hurry and grab the latest device from budli.in.